Coconut cookie that don’t look like the one Mama makes but still are yummy. I will be frank with you – I don’t like coconut. It is a taste I just don’t like, no matter which form: milk, fresh, cookies, whatever is out there. 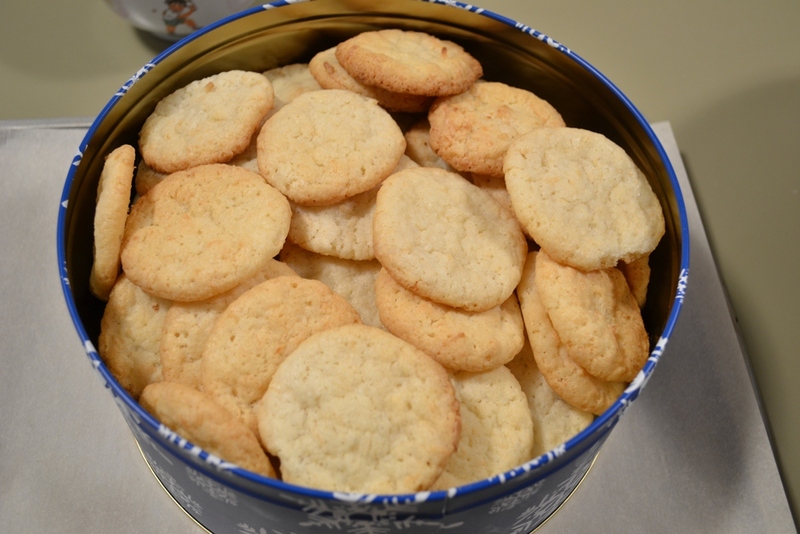 But coconut cookies are another staple for Christmas in out house. It is not one of the very old recipes because coconut is rather a recent thing. Recent? Yes, recent, because I am pretty sure they didn’t have coconut 100 years ago in regular house holds. There are some Christmas cookie recipes that are several hundred years old. For example, the Springerle are known since the Middle ages and where first used by churches. This recipe is certainly not as old but if you like coconut this one is for you. Of course I was debating if I would make them, but then I decided to go ahead with it. They didn’t turn out like my mothers, but they are pretty nice nevertheless and who cares about shape anyway? I know “Das Auge isst mit.” – “A feast for the eyes.” but they don’t look that bad, eh? Maybe it was my oven or something, maybe you have more luck. 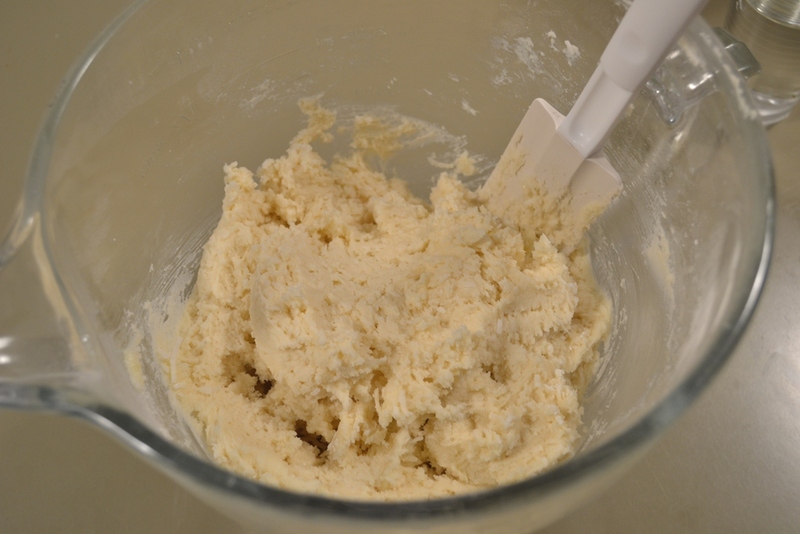 The butter should be soft before you put it into your mixer, make it easier to beat until creamy. Add sugar to that, egg one after the other and the other dry ingredients. Finally beat in the coconut. The dough should be soft but not runny. Soft dough that you can form well. 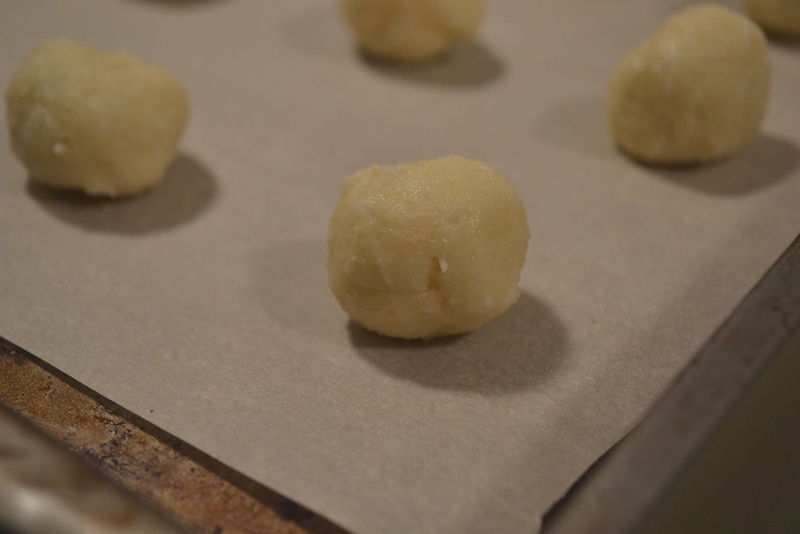 Take a teaspoon and make little heaps on the cookie sheet, which is lined with baking paper. The heaps I made spread quite a lot while baking so maybe you want to make sure there is enough spacing between them. Either you make little balls. Or you make little heaps. I know, this is rather simple, no long explanations and all that. But aren’t the simply things in life the good things too? Tip: If you can find German Speisestärke by Mondamin, use it. I used the regular corn starch and I think that’s why my coconut cookies didn’t retain their shape. I could be wrong of course, but I would recommend to use the original if you have it. 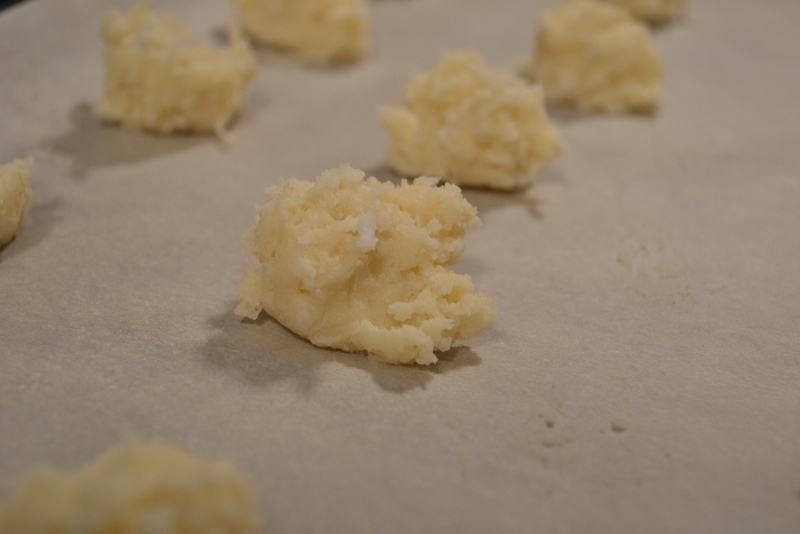 Posted in Cookies and tagged baking, Christmas, coconut, cookies, recipe. Bookmark the permalink. I love coconut in cookies so I’ll have to give this a try!